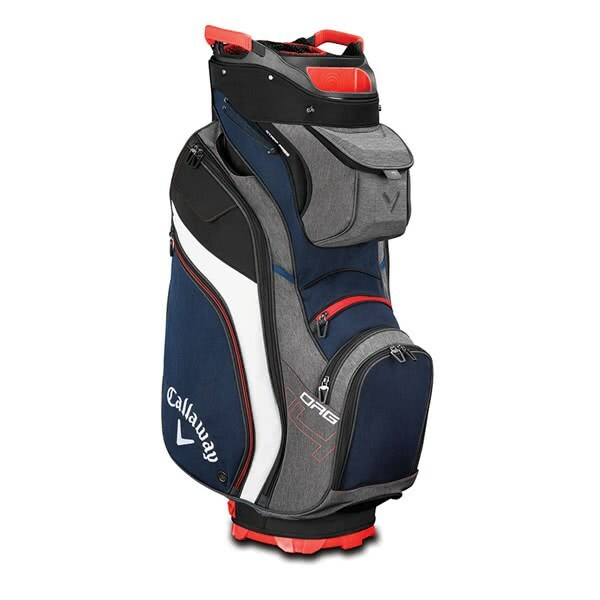 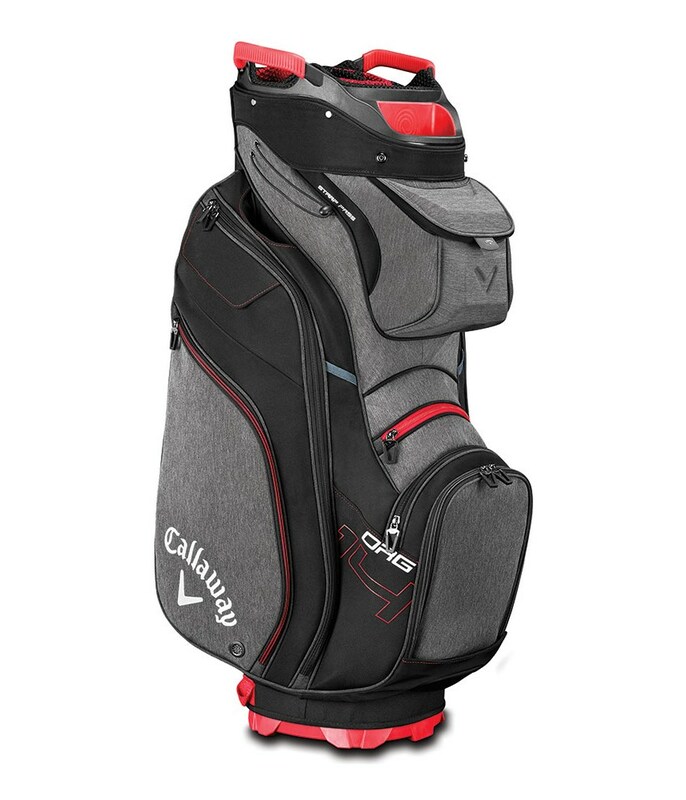 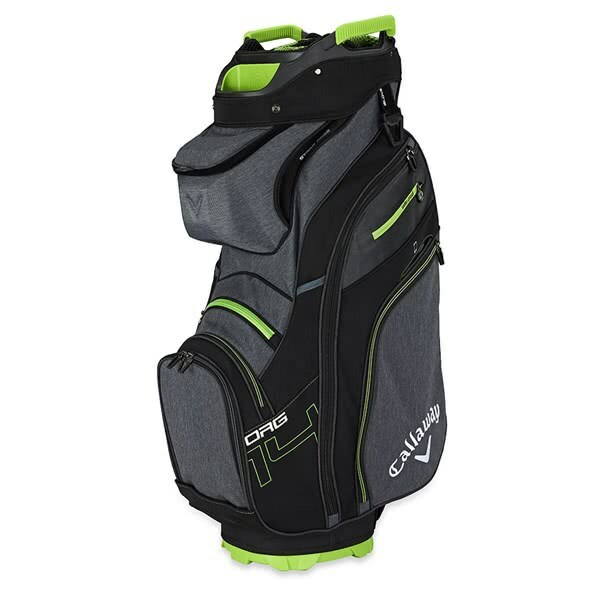 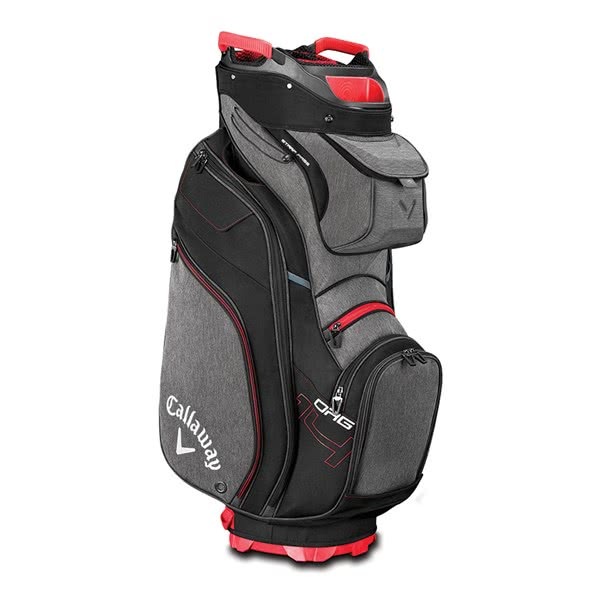 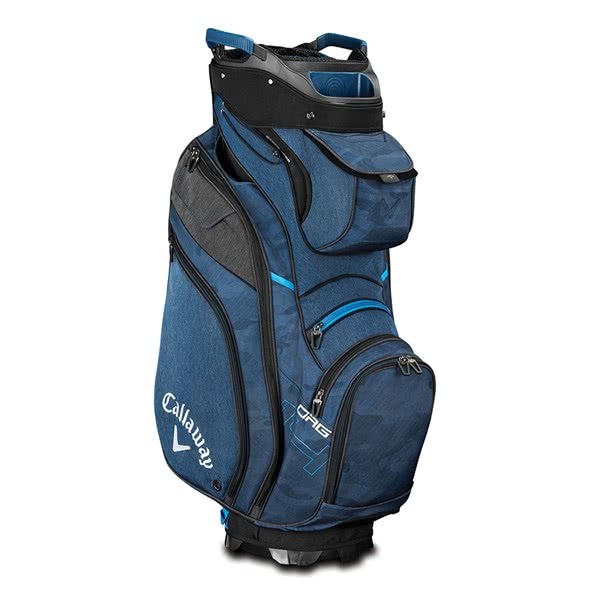 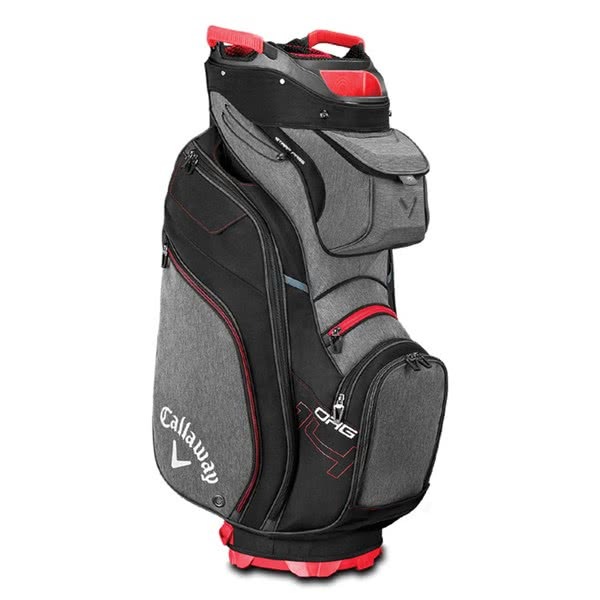 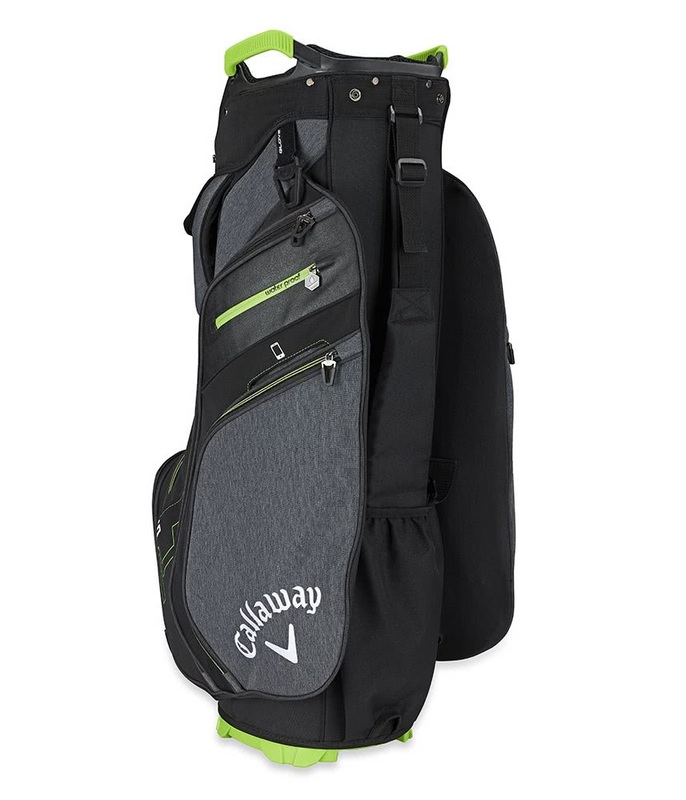 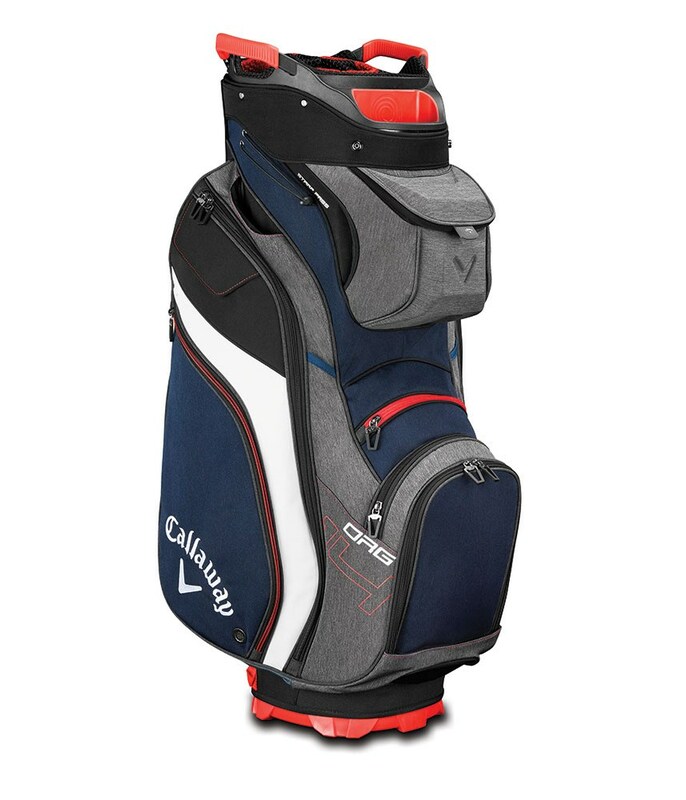 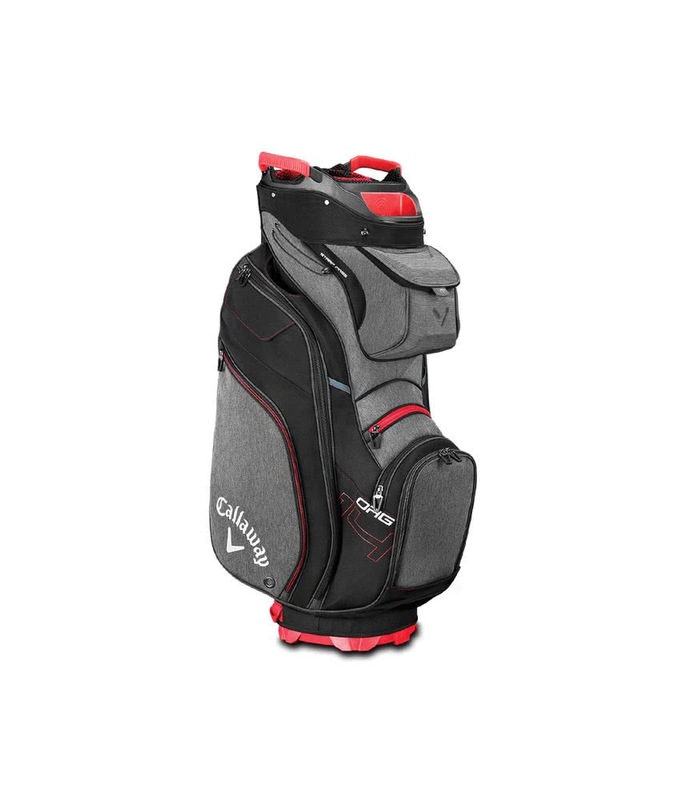 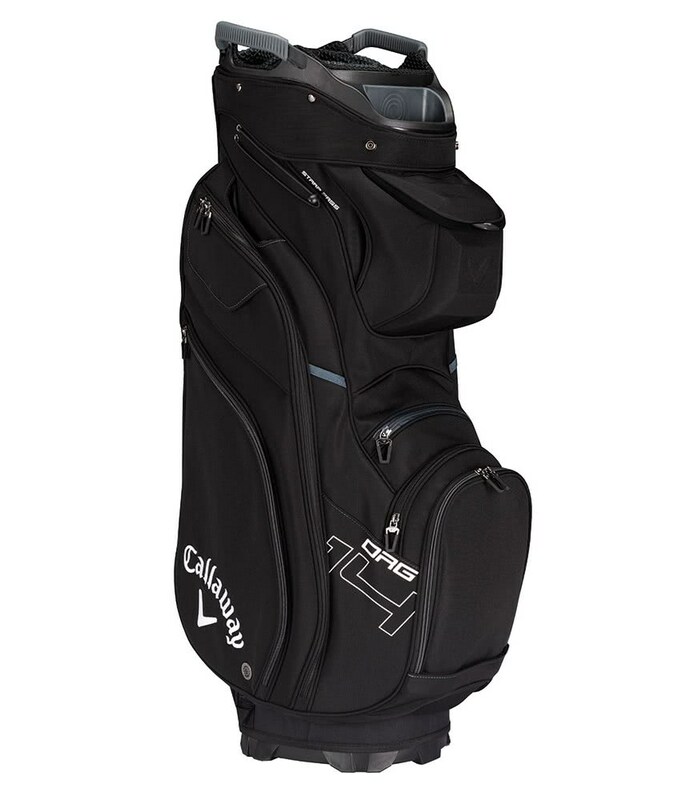 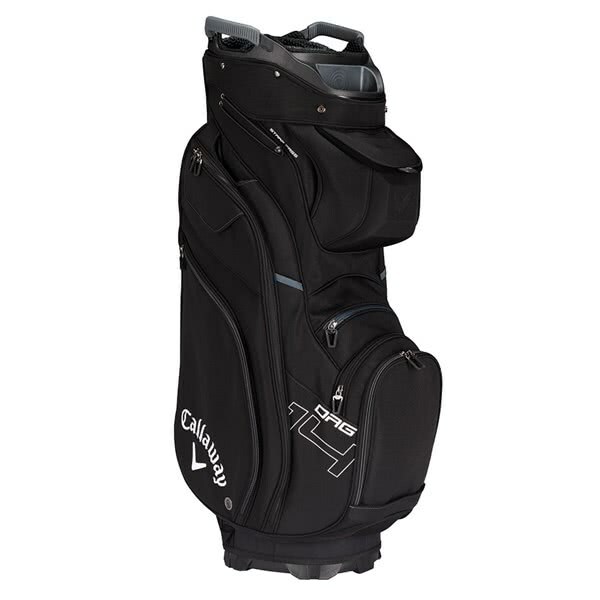 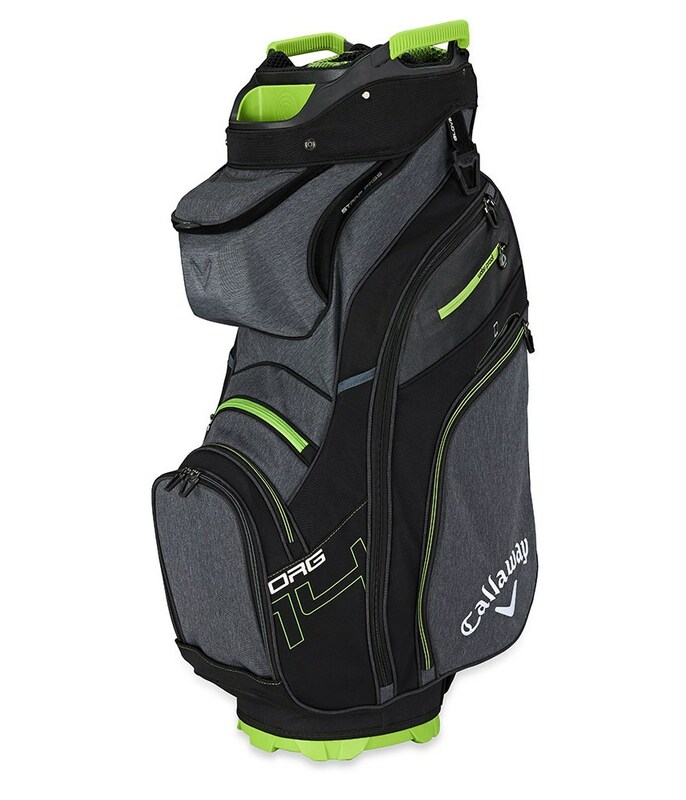 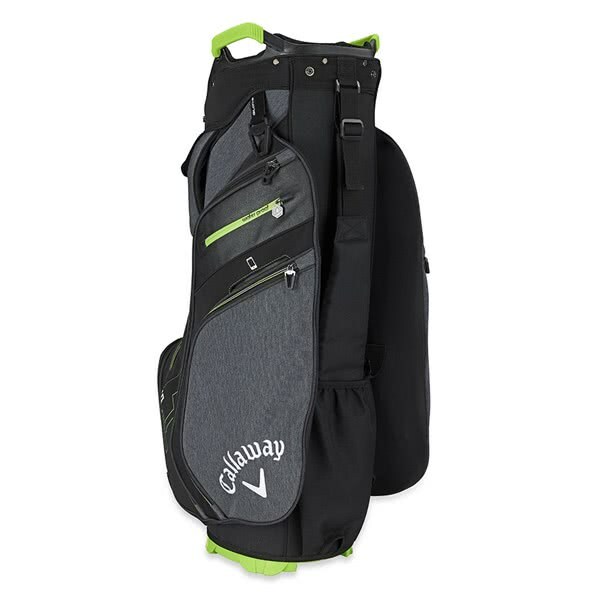 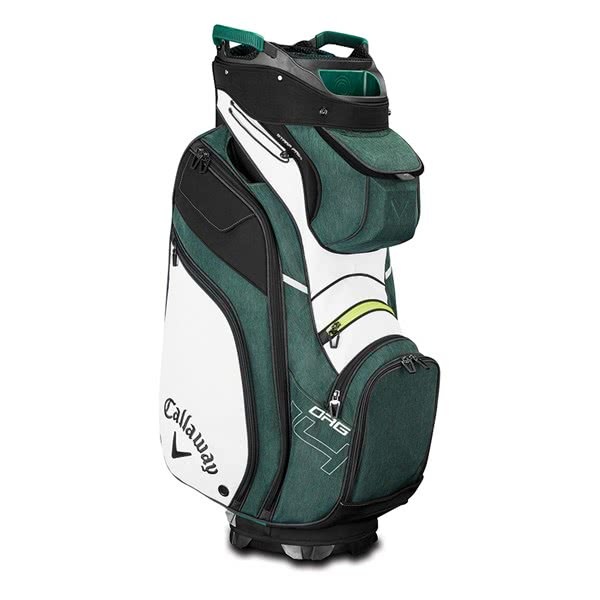 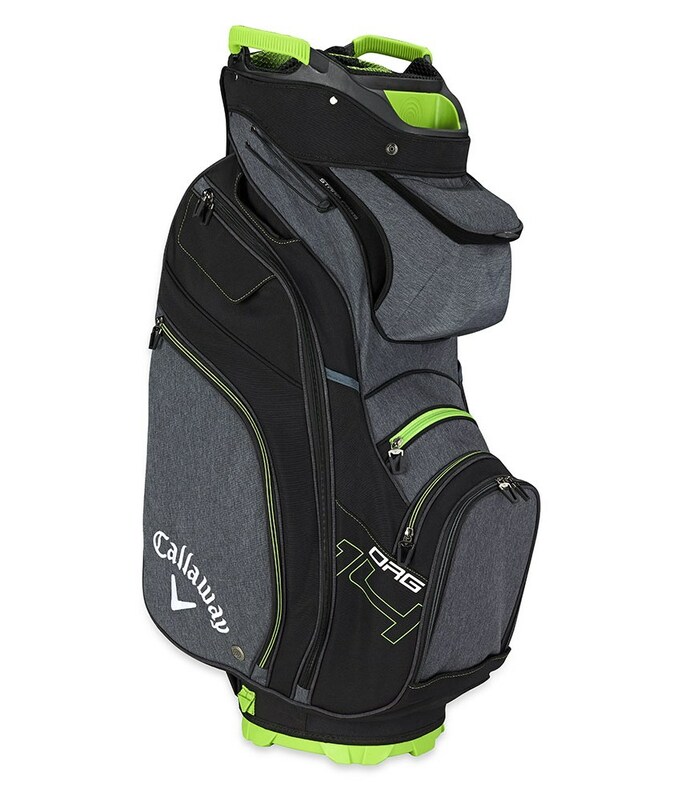 The Callaway Organiser 14 Cart Bag has a style all of its own, it is Callaway’s best selling golf bag and is ideal if you want a lightweight construction with maximum storage options. 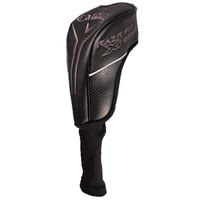 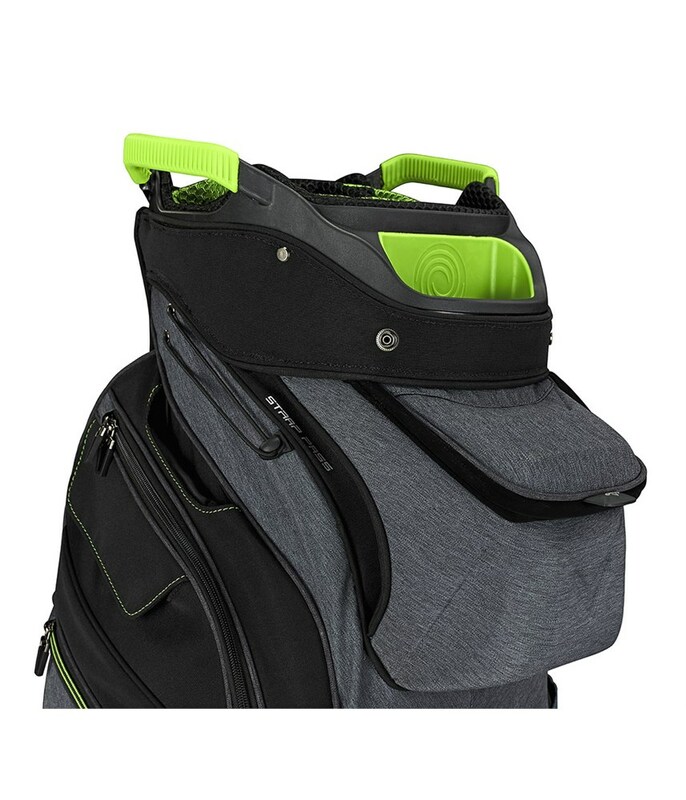 A total of 11 forward facing pockets provide more than enough storage for 18 holes of golf. 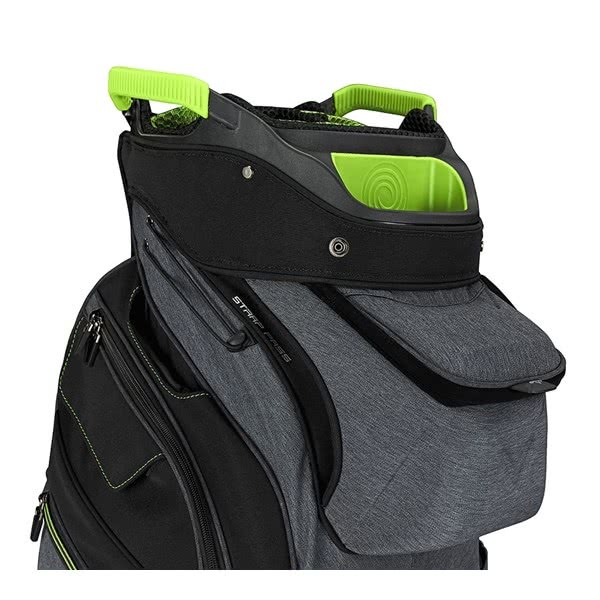 All of the pockets have been strategically positioned over the golf bag to ensure easy access and loading when you are on the move. 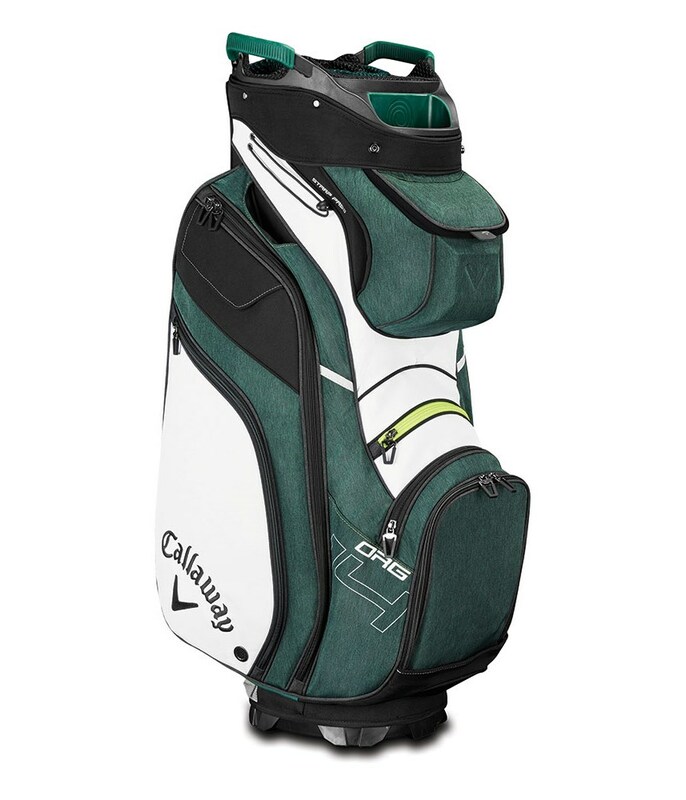 Callaway have used their new, non stadium top that allows wedges to the flush and prevents heads from banging together. 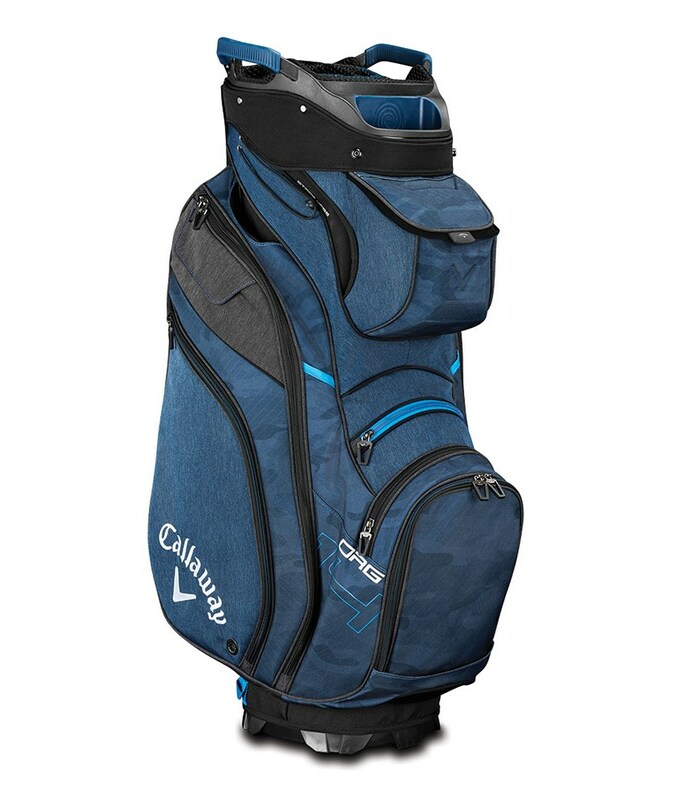 A 14-way top featuring a full length divider system and a separate putter well allows you to organise the clubs properly so that you can see, pick and replace without hassle. 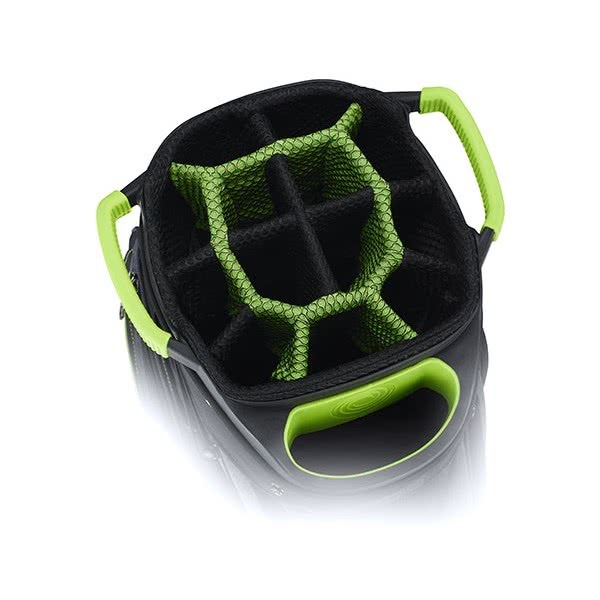 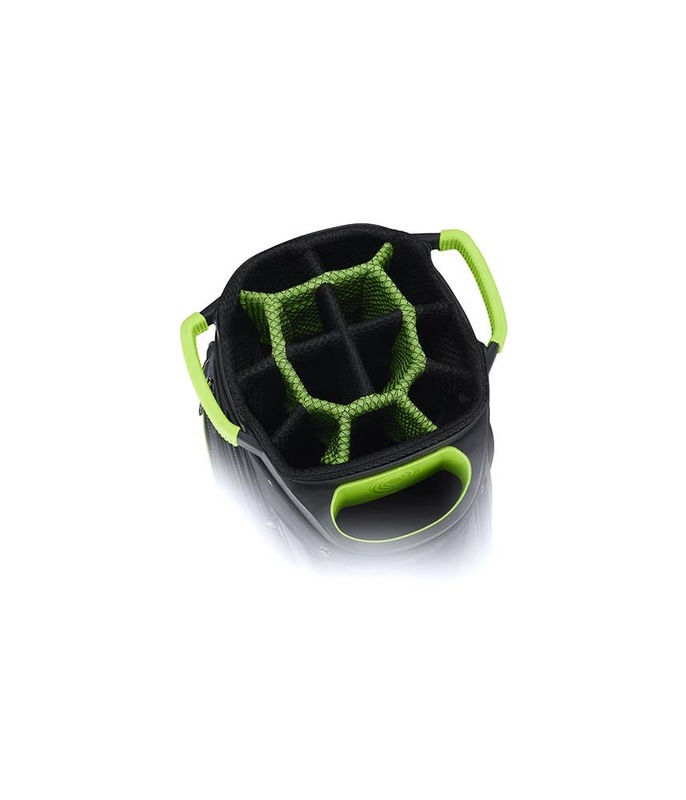 Also integrated into the top are two grab handles that will enhanced lifting and loading. 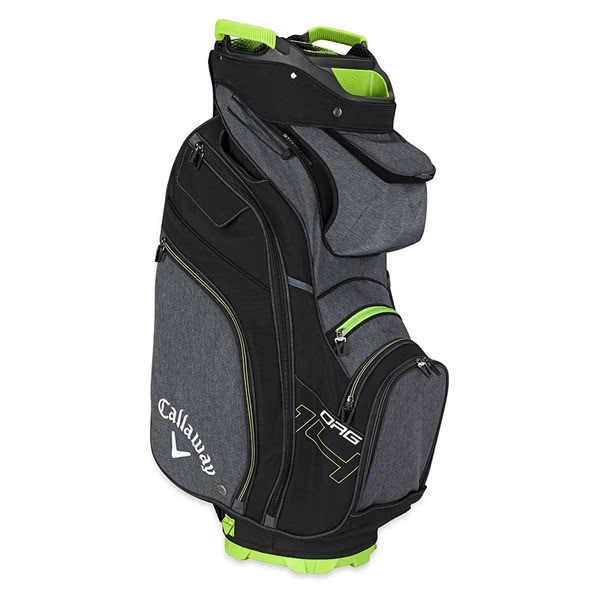 To ensure the bag sits securely on a trolley or buggy Callaway have specifically shaped the top and used a cart friendly base unit.